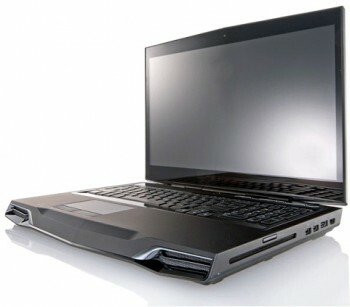 Gadget Unit | Are Alienware laptops still competitive? Are Alienware laptops still competitive? Alienware is a brand that is instantly recognizable to gamers all over the world. The American hardware manufacturer has been at the forefront of innovation when it comes to designing and building notebooks designed for gamers. Ever since it was formed in 1996, it has distinguished itself from other notebook vendors thanks to its distinctive branding that makes heavy use of elements like the flashing Alien logo, and LED lights around the chassis. The brand originally started out building full-fledged gaming rigs and workstations, and then branched out into the domain of notebooks. Currently, it has different categories of machines that are targeted toward different niches of consumers, from enthusiast gaming notebooks to high-end workstations. Alienware’s current offerings in the notebook segment include the M17x line and M14x line. 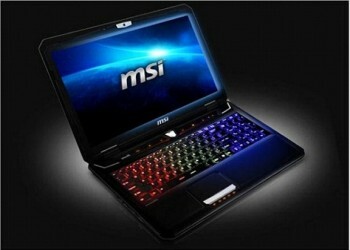 The M17x R4 is a 17-inch notebook aimed at serious gamers. While its final build configuration is customizable, as Alienware offers a host of different configurations for the M17X, the entry level model features hardware like a 60Hz 17.3-inch WLED screen with a resolution of 1600 x 900, a 3rd Generation Intel Core i7-3630QM that clocks at 2.4 GHz, 6GB DDR3 RAM at 1600MHz, 500GB SATA 3Gb a sec hard drive and a 2GB GDDR5 NVIDIA GeForce GTX 660M video card that is a mobile variant of the GTX 660 which also uses a 128-bit wide memory interface. The M14x also comes with similar hardware, although the differentiation here is that the screen size is of 14 inches. A strong reason for Alienware’s success is the design of its notebooks. The M17x and M14x also feature a lot of these enhancements, with both models coming with customizable backlit keyboards, customizable LED colour schemes through Alienware’s Command Centre software that comes bundled with the notebooks. With this software, you can not only change the backlight colours on keyboards, but also customize the lighting schemes in such a way that they can be triggered to work with in-game events. Also, the alien logo on the front of the machine makes the M17x and M14x stand out in a crowd of gaming machines. 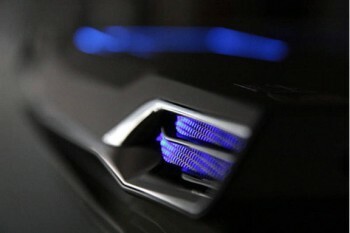 One criticism of Alienware gaming machines is the fact that they cost a lot of money for the features they offer. Alienware’s acquisition by Dell has done nothing to cut down on costs. A look at Dell laptop price list shows that it is now just using the Alienware brand for its high-end machines, and not making its own wares to target this segment. There are many brands in the market that offer features similar to what Alienware offers and are catered toward the gaming crowd. These boutique manufacturers make customized machines that are sourced from barebones vendors like Clevo and Sager. After obtaining the barebones machine, theboutique manufacturers add to the hardware and make it highly customizable. A few such manufacturers include MythLogic, Malibal, Digital Storm and Origin. With boutique manufacturers, users get a no-nonsense gaming machine that comes with great hardware but no frills attached. These machines are mostly unassuming, and are targeted at gamers who only care about getting the best hardware at a decent cost. Malibal’s Satori series delivers the same hardware as the Alienware’s M17x at a fraction of the cost. 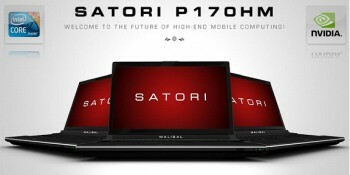 The Satori comes with hardware like a LED 17.3 inch screen with a full-HD resolution of 1920 x 1080 and a 72% NTSC colour gamut with a matte finish for anti-glare. A strong feature with boutique manufacturers is the fact that the screens that are included on these notebooks are of a much better quality than what is seen on major brands, with the boutique vendors offering screens of 90% colour gamut. The Satori also features Intel’s Core i7-3740QM that has a 6MB L3 Cache and clocks in from 2.7 GHz to 3.7GHz. Also included is 16GB DDR3 RAM, 500GB SATA hard drive and an NVIDIA GeForce GTX 660M video card, which is similar to what the M17x offers. Another great reason to go for boutique machines is that these are easily serviceable, and hardware can be further added on or changed afterward with minimal effort. There are other mainstream brands that now build gaming machines, like Asus and MSI. These machines also feature a lot of customized hardware and are quite affordable. MSI’s gaming machine, the GT70, for instance, comes with a Steelseries keyboard. Gone are the days when there was just a brand or two that catered to gamers. Nowadays, gaming has gotten mainstream with LAN events being held every month and international tournaments like World Cyber Games getting recognition. Alienware has set the tone for what a gaming machines ought to be like, and other manufacturers have taken that model and built on it. The American manufacturer is still a major name in the gaming business, but now there are many other viable choices for users.